When technology is your business, warehouse flooring has to meet higher standards than other industrial flooring applications. 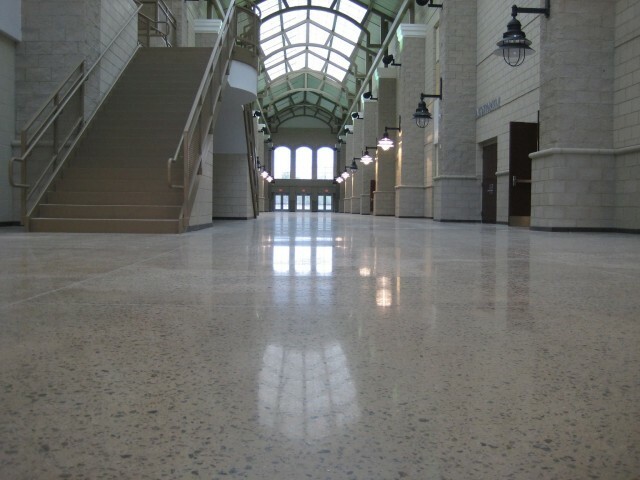 You need a clean environment that goes beyond what concrete polishing or the average concrete flooring can provide. Your business requires an easy-to-maintain but attractive and functional warehouse flooring. At Liquid Floors, we’ve invested a great deal of time and effort into developing liquid concrete coating formulations to meet the specific demands of the technology industry. In addition to meeting safety and maintenance requirements, our concrete coating epoxy flooring system helps meet your business’s unique needs and high standards. We can provide your company with several anti-static finishes to help keep your facility operating at peak efficiency. Our epoxy coatings are available in numerous formulations to meet your budget and needs. Typically packaged in two parts, which are mixed just prior to application, our epoxy resin is cross-linked with a co-reactant or hardener, providing the exact formula to meet your performance requirements. We consider the a wide variety of issues for every job so that we can provide a truly customized mix to meet all your needs in a single product. Our coatings are created using a resin-based layer of epoxy or polyurethane that creates an impenetrable, static-free floor coating that is perfect for environments that must remain free of dust. Because there are no expansion joints, grout lines, or even transitions between floor and wall, there’s no place for dust to hide, putting your electronics at risk. Liquid Floor’s seamless application makes the perfect clean room environment. Our epoxy floor coating solutions can significantly maximize your business’s cost efficiency by increasing light reflectivity up to 300 percent, brightening the space, improving safety, maximizing productivity, and lowering utility expenses by reducing auxiliary lighting requirements. Our team has over 40 years of combined experience to help you find the best solution for your project, whether it’s concrete polishing or protective coatings. Contact us for a free consultation and see what sets Liquid Floors far ahead of the competition.